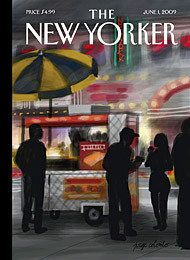 I’ve been getting The New Yorker magazine in my mailbox for about 13 years. The archivist in me used to save every issue. It was pretty easy, after all why did I buy a big house if I wasn’t going to fill it up? But three years ago I moved, so the recycle bin got a workout. It was bittersweet looking through all those issues and trying to decide which ones would stay and which ones would go. There are lots of great reasons to read this magazine, but the cover is without question the defining element. It’s the first thing you see when you open your mailbox. The great thing about the cover is you never know what you’re going to get. 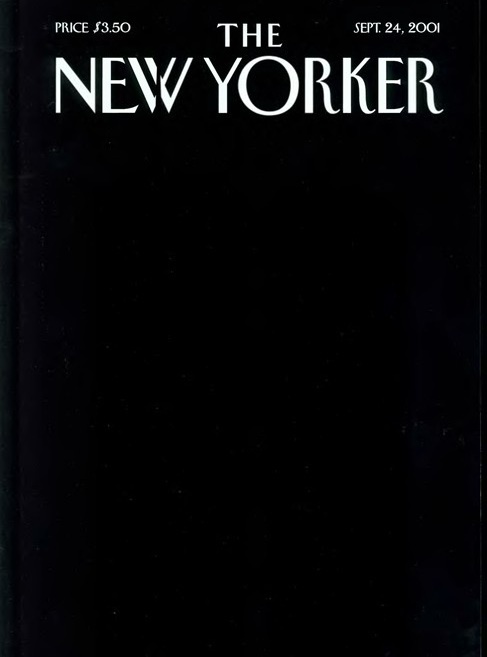 After the shock of 9/11 was beginning to wane, one of the first thoughts that came to mind was what would The New Yorker put on the cover? When it finally came I was worried it might disappoint. Was I wrong. This was the most amazing magazine cover I had ever seen. Artist Art Spiegelman, who was forced to flee the falling towers with his child and wife in tow produced this masterpiece. It’s difficult to tell from this digital scan snagged from The New Yorker archive site, but it’s a rendering of the twin towers in black on a black background. Simple, powerful, crystalline, heartbreaking. After decades of traditionally drawn covers, The New Yorker is enabling convergence by printing Jorge Colombo’s drawing, using a $5 iPhone application, on this week’s issue. Without the fanfare of how it was done, I would bet no one would have even guessed. It’s rich and totally expected. Welcome to the world of convergence. Read more and watch a video on how he did it here.